The first step is a reflection over where you’ve been. This is frustrating when you feel like you’ve been stuck in the middle of something. Whether you’re struggling with an addiction or just feeling like you aren’t growing where you are. I want to encourage you to look back just for a moment, not to dwell, but to notice how far you’ve come. Look at where you’ve been and where God found you. If you can find an identifiable place that God has moved you, then you can find peace knowing you have had movement. Maybe you haven’t moved and you’re looking for a way out of where you are. I want you to look up. Look for the one who has always been there for you and is waiting for you to rely on Him to help you get out of where you are. After personal reflection on the past, it’s time to look at the present. What is the biggest challenge you are facing right now. Maybe it’s a status of your health, your job, your family, your friends, maybe it’s more of a personal struggle, a habit you need to break or a feeling you need to shake. Whatever that challenge is, identify it. Once you can identify the root issue, you can work at that issue. First pray about it and give it to God. Whether it’s trusting Him with the problem or situation, or maybe He needs you to rely on the process He’s putting you through. Whether it’s a challenge to teach you peace or patience, or an opportunity to share the gospel with someone, trust that God knows exactly where you are and where you are going. I hope that this will help you acknowledge where you are and be content about it. Finally, after getting to this step, hopefully you’ve gotten some peace about where you are in life. You’ve realized you aren’t stuck anymore, but rather you are a work in process. 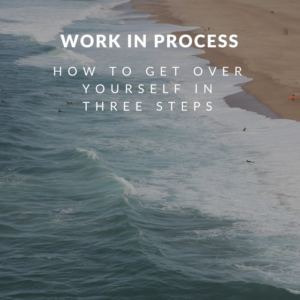 The process means that you’re moving and changing with time. You are no longer who or what you once were, but God has moved you into a new place. And with each step God takes you to, you can identify the next phase that needs recharging. Prayer and reflection can get you to this phase of recharging your faith in Christ. Repeating this process will help you motivate you to reach the next challenge God has for you.